Here at Kegerator.com, we know everything there is to know about kegerators and draft beer dispensers. Because of this we tend to receive a lot of questions from people that are interested in buying or troubleshooting their kegerator. Here are the eighteen most frequently asked questions that we receive. 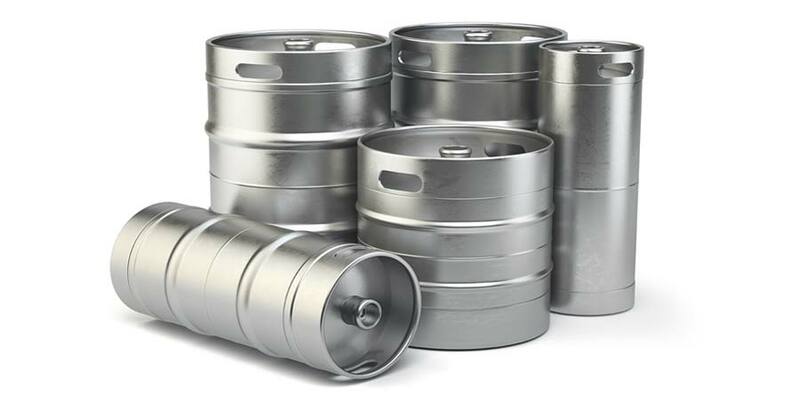 What are the different types of kegs? How long does a keg stay fresh? How many kegs can I tap on one CO2 tank? Can I use my kegerator outside? How long should I wait before using my kegerator? Is a kegerator freestanding or built-in? Can a freestanding kegerator be built in? Can I build my own kegerator? How do I troubleshoot my kegerator? How do I defrost my kegerator? How do I clean my kegerator? If you have any other questions about kegerators, please leave them in the comments down below or give our customer service department a call at 1-866-950-8710. A blend of the words “keg” and “refrigerator,” a kegerator is an at-home draft (draught) beer dispensing device. A keg, typically of beer, is stored in a refrigerated container in order to keep it chilled, allowing you to keep beer for extended periods of time without losing quality or freshness. Full-size kegerators also include a pressurized carbon dioxide (CO2) tank and coupler to push beer out of the refrigerated keg to a beer faucet where it can be poured. Kegerators come in a variety of styles and with a number of accessories to suit your needs. 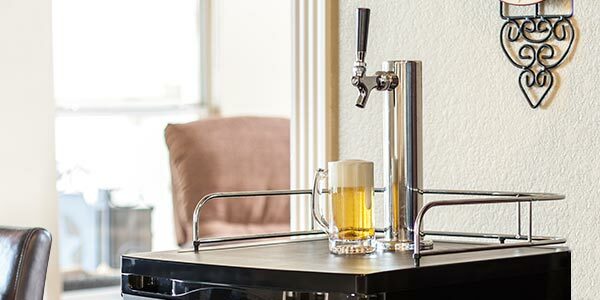 The most important aspect of a kegerator, however, is that it enables beer enthusiasts to enjoy their favorite draft beer the way the brewer intended – cold, fresh and out of the tap! There are four main types of kegerators: mini kegerators, full-size home kegerators, commercial kegerators, and outdoor kegerators. A mini kegerator is a self-pressured, countertop beer dispenser that holds a “mini” keg of five-liters of beer – the equivalent of 10.5 pints or fourteen 12oz cans. Mini kegerators are best for storing beer with limited space and can be tapped two to four times. A full-size home kegerator is a residential draft beer dispenser that contains up to a full-size (or half barrel) keg, typically in a freestanding refrigerator (though built-in in or undercounter models are also available). A full-size kegerator comes with a pressurized carbon dioxide (CO2) tank and coupler to dispense beer. Commercial kegerators are similar to full-size home kegerators, but are constructed to meet commercial quality standards. Many models are built for either freestanding or built-in / undercounter installation, offering a solution for those who want to integrate a draft beer system into standard-height cabinetry. Commercial kegerators hold half barrel (full-size), quarter barrel (half-size or pony) or mini kegs (5-liter). Outdoor kegerators are draft beer dispensers specifically designed and rated for use outdoor use. Some models will work in temperatures ranging from as low as 45° to as high as 100° Fahrenheit. Outdoor kegerators are ideal for those wanting to keep beer frosty in environments above 85° or below 50°. They are especially great for garages, basements or on your back patio. In choosing the right kegerator for you, you may want to familiarize yourself with the different keg types available. A “full size” keg, this is what most people think of when they think of a keg. 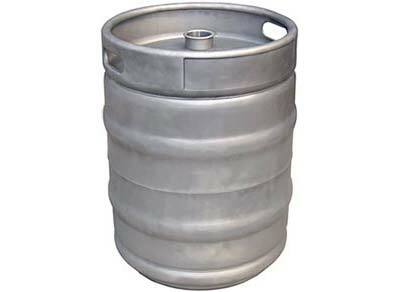 Standard kegs are typically 23 inches tall and about 16 inches diameter, weighing about 160 pounds when full. A half barrel kegs hold about 15.5 gallons (58.67 liters, 124 U.S. pints) or about 165 twelve-ounce glasses of beer (1,984 total ounces). Full-size kegerators are designed to hold a standard half barrel keg. There are two different types of quarter kegs. One is half the height, but same diameter of the half barrel. While the other is the same height, but has a smaller diameter. The both hold the same amount of beer, yet take up different amounts of space inside your kegerator setup. Quarter Barrel — Also known as a pony keg, this “half-size” keg has approximately half the capacity of a standard, half barrel keg. This keg measures 13⅞ inches tall, 16⅛ inches in diameter, and weighs about 87 pound when full. It holds 7.75 gallons, the equivalent of eighty-two 12oz cans of beer or sixty-two pints. Slim Quarter Barrel — Also known as a tall quarter, this keg holds the same amount of beer as the quarter barrel, but has a different shape. As its name implies, it’s taller and skinnier than the quarter barrel; measuring 23⅜ inches tall and 11⅛ inches in diameter. A mini keg is a 5-liter keg produced for retail sales; you’ve probably noticed these showing up more and more in your grocery store’s beer aisle. The most common you’ll find is Heineken, but other brands are available. 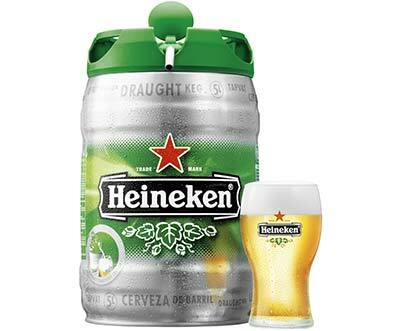 Quite portable, mini kegs are 10 inches tall, 6.75 inches in diameter, and only weigh about 13 pounds. They hold 5 liters (1.33 gallons) or 13 twelve-ounce glasses of beer. 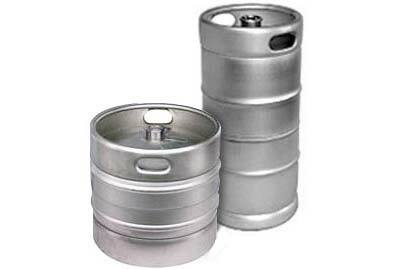 Unlike larger kegs, mini kegs usually cannot be returned for cleaning and refilling and should be recycled. Mini kegs are recommended for our mini kegerators. Other common types of kegs include Cornelius kegs and smaller sixth barrel kegs. To see what size keg will fit in your kegerator, please refer to our Keg Comparison Chart. Though included parts vary between models, most kegerators include a tap kit with all the parts you need for dispensing beer. These typically include: a beer tower with faucet, handles and hoses and a carbon dioxide (CO2) tank, coupler and regulator. Please consult our Kegerator Parts and Kegerator Assembly Guide. This all depends on which type of kegerator you get. Some units cannot hold certain brands of beer kegs, most commonly Coors Light and Miller Lite, which are “oversized” or bulkier than other standard-sized kegs. An easy way to gauge if these brands will fit in your kegerator is by checking its width. Kegerators with an overall width of 23 inches or more can accommodate light brands. Because keg fit varies between different kegerators, we recommend consulting our Keg Comparison Chart. Most kegerators come with an American Sankey “D” system keg coupler, which is compatible with all domestic-brand kegs and fits 95% of American domestic beers. However, there are other types of couplers that you may want to become familiar with. 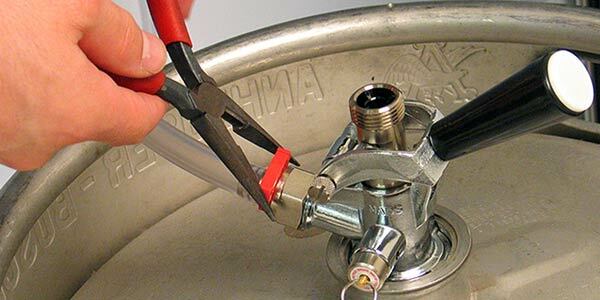 To find the right coupler for your favorite beer, please consult our list of Keg Couplers & Beer Brands. If you bought a kegerator, all you need to do to tap your keg is supply a full keg of beer and fill the CO2 tank. However, if you are wanting to convert an old refrigerator or freezer into a kegerator, you may need a couple of components. In this case, it is recommended that you buy a conversion kit or individually assemble all of the components that is found in those kits. To get a better understanding of what you may need, we would recommend consulting our list of kegerator parts and/or our kegerator assembly guide. This all depends on the style of beer you are drinking, as well as personal preferences. The recommended temperature for storing and serving chilled beer is between the high 30s and mid 40 degrees Fahrenheit — about 36° to 40°. (Keep in mind that beer freezes at 27°, with light beers freezing at as high as 31°.) These temperatures apply whether the beer is a domestic beer or an imported one. The same holds true whether or not the draft beer is pasteurized. Beer stored between the high 30s and mid 40s will retain the level of carbonation that was created during the brewing process. During summer months, you may want to adjust the temperature control to a cooler setting. The ideal method for monitoring the liquid temperature (inside the keg) is done by use of a beer thermometer. This provides a constant accurate reading of the liquid (beer) temperature within the refrigerator. This is another tough question to answer, as the amount of time will range depending on the style of beer, type of pump you are using and whether that beer is pasteurized or not. The “freshness clock” starts the moment that keg is filled at the brewery. If refrigerated within a kegerator that uses CO2, a keg will generally last at least 6-8 weeks before it starts to lose its fresh taste. If you store it at the appropriate temperatures, pasteurized beer will last you at least three months, sometimes as long as six months. Unpasteurized beer will only last two months. More details can be found here: How Long Does A Keg Remain Fresh? A standard, 5-pound CO2 tank will last from 2-4 half barrel (full-size) kegs, largely depending on if it is kept cold. Since heat causes carbon dioxide to expand, keeping it in hotter temperatures will ultimately limit its usability. However, if kept cold, CO2 should last for up to four half barrel kegs. Only outdoor kegerators should be used outside. Using an indoor kegerator outside stresses the unit’s compressor, shortens its life, and will not chill beer to its optimal temperature. Most home kegerators function best in room temperature environments (mid-70° Fahrenheit). 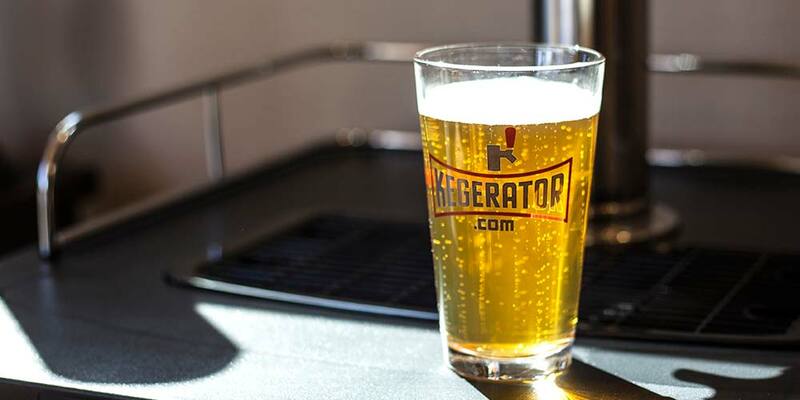 For any environment above 85° Fahrenheit or below 50° Fahrenheit, an outdoor kegerator is strongly recommended. After turning your kegerator on, you should ideally wait at least 24 hours for the unit to cool properly. You may then adjust the temperature setting based on your preferences. Most kegerators are freestanding (not supported by another structure), but undercounter kegerators that build into cabinetry are also available. Freestanding kegerators cannot be built in. This is because many refrigerators vent heat out the back of the unit, which would be trapped if built into cabinetry. Without being able to escape, this excess heat may ultimately cause your kegerator to malfunction. Absolutely! It’s actually quite easy to re-purpose a refrigerator or freezer into a working draft beer dispenser. You can either buy all of the components individually or get a kegerator conversion kit that already has all of the components you will need. If you are going to convert an old refrigerator, make sure to measure before you start. Compact fridges can be great because of their size, but often have freezer compartments or drawers that can’t accommodate a full-size keg. Also, if you want to build a kegerator into your home bar, make sure to look for an undercounter or built-in unit. Most compact refrigerators vent heat out the back of the unit, which wouldn’t be good for building into cabinetry. This is because the heat will not have an easy way to escape and this will eventually cause problems with your unit. If you buy a conversion kit, step-by-step instructions will be included. In the meantime, check out this set of instructions on how we converted a Smeg fridge into a kegerator. This will give you a general idea of what you can expect. Please consult our Kegerator Troubleshooting guide. You can also give our kegerator experts a call at 1.866.950.8710 from 8 a.m. to 5 p.m. CST Monday through Friday or use our Customer Support page. We’re here to help! It is not usually necessary to defrost your kegerator. Ice that has deposited on the evaporator is automatically defrosted when the compressor cycles off. The defrosted water collects in the water drip tray located on the top of the compressor in the rear of the unit and then evaporates. However, if the door is often opened or you are using your kegerator in a humid area, excessive ice may build up on the evaporator. In this case, turn off the unit and allow the ice to melt once your keg is empty. Be careful to soak up the excess water with a towel. Cleaning your kegerator is pretty simple. You will want to use a kegerator cleaning kit to flush your beer lines, as well as clean your faucet and keg coupler. It is recommended that you clean these components after you finish a keg. You apparently need to correct the video where the lady indicates the holding capacity of the Edge Star kegerator. She indicates near the end that it will hold 2 -6 barrel kegs..I don’t think that they make 6 barrel kegs and if they did that would be about 360 gallons. She is referring to 1/6 barrel kegs (sometimes called “6”). The commercial beer keg sizes are 1/2, 1/4 and 1/6. I think she means 1/6th barrel kegs. I purchased two kegerators as gifts. The one to my son-in-law has a problem. About every half hour or sooner, it bangs and quite loud. Sounds like a hammer hitting a nail. Would like to know what is causing this. It is very annoying. Purchase was made in July. Thank You! I just started my kegerator today. I am having a lot of trouble with foam. I have turned down the psi to about 8. Any thing I should check? The tubing came pre attached. Could the couplings need to be tightened? Any help would be great. I had a similar problem when I built my kegerator. I ended up getting a longer beer line and upping the pressure to 12PSI the longer beer line slowed down the liquid preventing it from blowing foam. Hey mate, is it possible to have a hose line with some kind of dispensing gun on the end rather than having taps secured to a bench or the top of a fridge? Will the KC2000 Twin accommodate a Coors pony Keg (or 1/4 Keg)? I have a kegerator and have alot of foam after 24 hrs of set up and the beer taste a little flat any suggustions ? Do you have to use co2 with a kegerator or can you use a pump tap. I want to get a pony kegerator without co2 and use a pump tap. No, you don’t need to use CO2 with a beer keg. A pump tap will work fine to get the beer out. However, I would strongly recommend using CO2 (or Nitrogen) as your beer will retain its flavor and aromas for significantly longer. If you use a manual pump tap, your beer will likely go bad within a day or two. This is because you are putting oxygen into the keg, which in turn, will cause your beer to go flat… quickly. If you feel like you can drink it all within that time frame, then a manual pump will work for you. But, if you want your beer to last with it’s full flavor profile intact, then a CO2 tank is going to be your best bet. For more info, I’d recommend you check out this article here — How Long Does A Keg Remain Fresh? Hi, I am living in Australia, does the ‘Kegerator’ work with the electrical system here? It looks great. How much does it cost to run a kegerator per day? here are some numbers on a pretty standard under counter kegerator. Voltage: 115 V, 1.2 Amps, 60 Hz. What causes my co2 to drop in pressure and i have no leeks at any of my connections. Our new dual tap kegarator that we bought er in December keeps making a loud popping noise? What is causing this??? This is likely due to the cold plate hitting the back wall as it expands. We indeed have a fix for this issue. Please give our customer service team a call at 1-866-950-8710. They can direct you on how to fix this much better than I ever could. Please keep me updated here and I can help assist you in anyway I can. I have a two tap kegerator that holds two 1/6 barrels or one 1/2 barrel. What do I need to do to put in a half barrel? do I need to plug the second line? There’s really no need to do anything with the other tap. In fact, I often find myself in the same situation with my dual tap. Whenever I only have one keg hooked up, I just disconnect and clean the beer lines and all the other components. 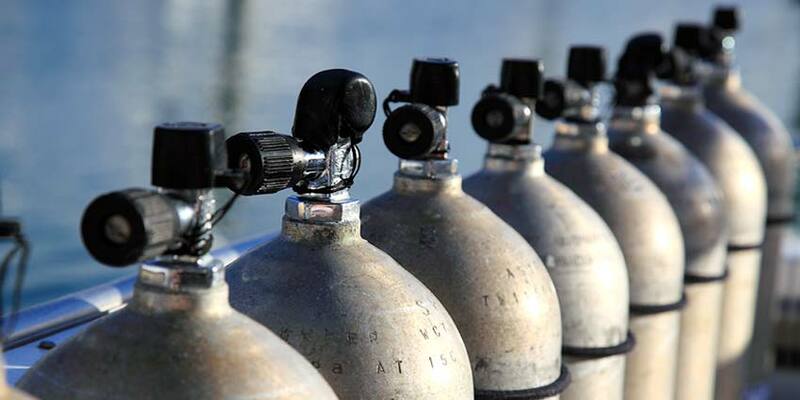 Depending on the type of regulator you have, you should turn off the shut-off valve to prevent the CO2 tank from distributing gas through that line. I also unscrew the top of the tap, whether it’s the simple black handle or something more fancy. There’s really no need to do this, but it gives anybody drinking out of my kegerator (my neighbors, really) an indication that nothing is hooked up to that tap. Hope this helps answer your questions. Pour a beer for me from that half-barrel. I have purchased a Great Northern Brand Frosty Keg Kegerator and the unit does not cool itself at all and have no idea what is wrong? Any suggestions on what is wrong and what actions should be taken and how much would this cost me? I just bought a twin tap kegerator with one CO2 tank and a T fitting that sends CO2 to both kegs. Question is: Is it possible to run just one keg without doing anything special to the other line coupler which not in use? There is no shutoff mechanism on the T fitting. Thanks. will an edge star kegerator hold a 1/4 barrel and a sixth barrel at the same time? I got a commercial-sized kegorator off a friend who I helped move! I need the model number to sell it! Where could I find the model number? What is the best way to transition through the counter in a built in use? Is there a part out there? The tower is cooled, so I need a way to connect the box and the tower. 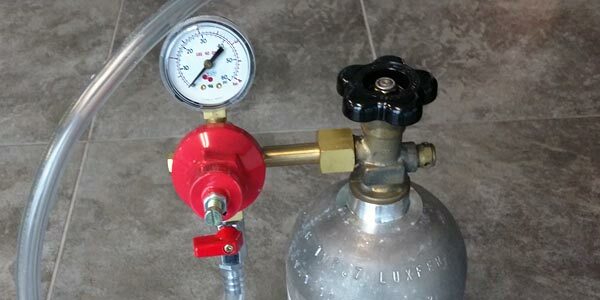 What is the best pressure to set the co2 at 6000ft elevation for a kegerator system with a 3ft hose and a 1/2bbl keg? I try to run it at around 4psi but seems to be too high still. Still get a lot of foam. I recently bought a micro matic unit which is built into cabinetry. There is not enough space in back for venting so I cut two 4×10 vents in the upper rear and right upper section of the cabinets. Still not doing the trick. Thinking I need an narrow square in-line fan to force the warm air out. Any idea on what product or where to buy such a product? Congrats on your new kegerator. It will truly change your life for the better. Sorry to hear about the troubles you’re having. 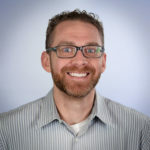 I would recommend giving our product experts a call at 1-866-950-8710. They will be able to get all the info they need and help walk you through the process of getting it back to pouring and serving the way it should be. As well as give you some further tips on how to prevent it from happening in the future and other ways to get the most out of your kegerator. All three of our kegs leak when attached to the kegerator. They are leaking where they attach to the keg. Do Kegerator ship units to Australia from the US? How can I order the adapter for my beer tower to connect to the Kegerator? How many 1/6 kegs can fit into a True TDD-2? I recently cleaned my lines and installed a new keg. Two days later no flow at all found co2 empty 4th keg so expected. I shut c02 tank off and replaced the next morning. Now a week later I’m getting a lot of foam and beer is a little sweet and bitter. I have un done everything thing again cleaned lines still same issue. I have temp about 34-36 degrees pressure between 8-10psi. Is it possible the beer went bad its un drinkable. Please Help! How much clearance should I have for venting if I have a freestanding kegerator under the bar top? Looking to install a built-in style kegerator. I see that many of these on your site have a glass rail and spill tray on top. How do you build in one of these under a counter? Can you point me to install instructions for any of the built-in styles so I can get an idea of how to build the bar top and enclosing cabinet? Thx! Can my dual tap kegerator pour the same beer? Or do i need to connect two kegs with the same beer. I have a Danby kegerator that looks like it has slots for shelving on the inside. Is there a place to purchase shelves that fit? I still have had problems finding the correct pressure setting for a 1/4 keg of BUD LITE. Please advise. I only drink miller lite. Will the EdgeStar Full size handle those kegs? It doesn’t build up pressure no matter how high I set the regulator at.. I have tried everything so really hope someone has an answer to this problem. have beverage air. what should the co2 pressure be set on? foamy thx!!! Is there an option for running a drain line from the drip tray to the adjacent sink’s drain pipe? Once I tap a keg, is it ok to shut off the co2 when not using the kegerator? Or must I keep it charged all the time? Just set up my new outdoor edgestar. Foam, foam, foam. Psi is down to 5 based on recommendations I’ve read. Is it possible that the product comes with the wrong length beer line? Any help on this would be great. Already poured 6 glasses of foam! Have an Edgestar Kegerator 3 years old (one day out of warranty) Just today it will not cool…compressor runs but fridge is warm. Any thoughts? you know what? I am experiencing the same issue right now. Ice built up the the expansion plate inside the unit and actually pushed it off the kegerator popping out a screw. Removed ice, defrosted everything, got all the water out. Put the plate back on. Turned it on and it runs for like 15 seconds every couple of minutes, no chill coming from the kegerator. I just did this today so I am waiting 24 hours before I call the thing busted. Its been 3.5 years since december 2013. I have a 24″ dual tap True beverage dispenser. What do I need to do to dispense only soda(root beer)? I have a 24″ dual tap RESIDENTIAL True beverage dispenser. What do I need to do to dispense only soda(root beer)? Our kegerator is not keeping the beer cold. It is on the highest setting ‘6’. Not sure what to do?? My kegerator has stopped cooling. I get error code 02. Can this be fixed. I just got a two-tap kegerator. Is there any issue such as CO2 leakage if I only attach one keg initially? I have hooked up a new 5lb CO2 to a new I/2 keg in my kegerator.. Dispense a pint of beer and the CO2 gauge drops from the 12Lbs to zero..